The Great Fermentation is a 40,000 square foot multi-sensory museum attraction that we are planning to open in 2019. 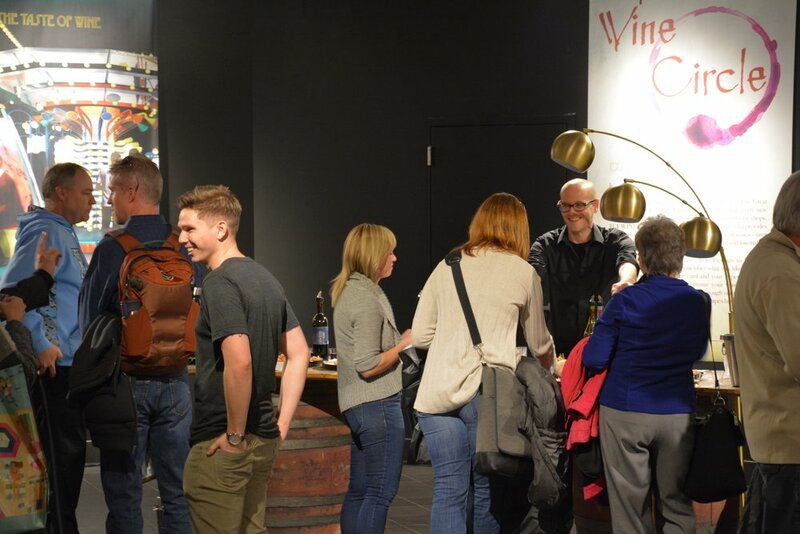 In this hands-on and taste buds-open experience, we are tearing down the daunting barriers that keep many people from drinking and enjoying wine. 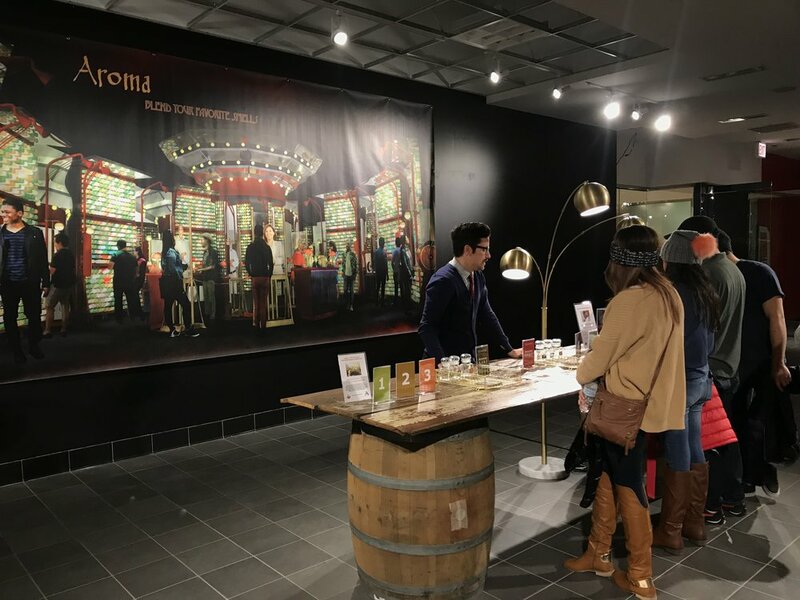 An attraction that is leaving behind the traditional messages of wine connoisseurship and elitism, and delving into the two most important questions that promises to draw more people to wine than ever before – what tastes good to you and why you like what you like. With this understanding guests will find comfort in choosing a wine they will like without the fear of judgment or critique. Keep an eye out for the traveling TGF troupe, Snooty Merlot, Dr. Shiraz, Fizzy Champagne, Zinny, the Riesling Twins, and friends, will undoubtedly pop-up someplace unexpected near you. Missed the prototype in Chicago's Water Tower Place from November - December 2017? No worries. Checkout what happened and get connected by staying up to date with the project by connecting with us on social media and signing up for our newsletter. 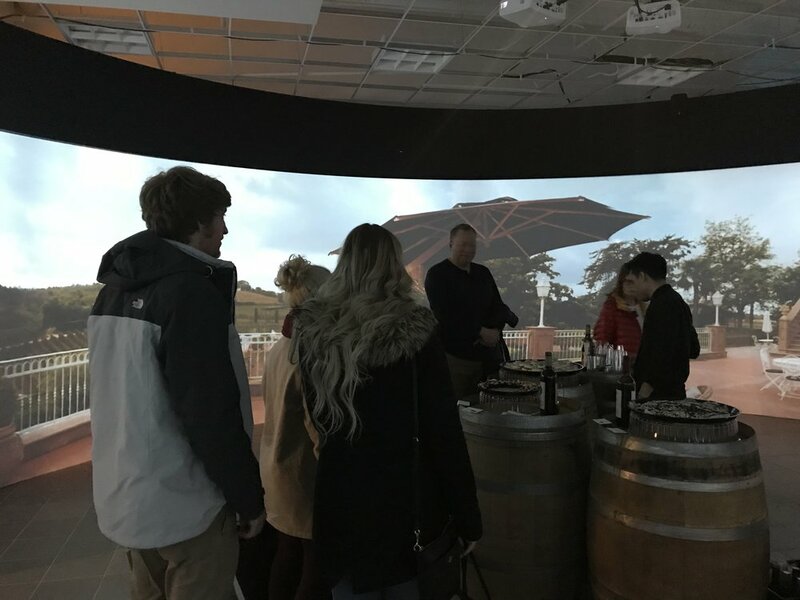 Travel to Castellani's Vineyards in Italian countryside of Tuscany in the Pentasensory™ experience in partnership with Igloo Vision through a shared 360˚ VR experience with your whole group. Discover the wine you love! A wine community from the comfort of home. TGF Wine Circle, is a web-based wine membership community that provides users with vast options and a wide selection of wines – making this an ideal next step in discovering your preferences. This win-win will extend your Great Fermentation experience with incredible wines based upon your preferences. "I'm not an elitist. Just an ordinary snob with impeccable taste." Interested in becoming a partner? Email: info@gmcurley. GGP is a retail real estate company headquartered in Chicago, Illinois, and publicly traded on the NYSE under the symbol GGP. Our mission is centered around owning, managing, leasing and redeveloping premier retail properties throughout the United States. The Aroma Academy is your route to expertise in; aroma recognition, aroma development and mastering the sense of smell. Igloo designs, develops and delivers immersive 360° projection domes, projection cylinders, and all of the enabling technologies. Sign up with your email address to receive updates on the progress. A Vine to Wine project developed and designed by GMC+A to make your life just a wee bit more fun.